St.Petersburg Summer Meeting In Mathematical Analysis will be held from June 25 till June 30, 2014 at the Euler International Mathematical Institute (St.Petersburg, Russia). Abstracts. If you intend to give a talk but have not yet presented the abstract via the registration form, please send it quite urgently to analysis@pdmi.ras.ru WE DON'T ACCEPT ANY ABSTRACTS AFTER JUNE 15, 2014. Location. The conference will be held at the Euler Institute (St.Petersburg, Pesochnaya nab., 10). The place is near the river Malaya Nevka, at equal distances (15-20 min. walk) from the metro stations "Petrogradskaya" and "Chernaya Rechka". 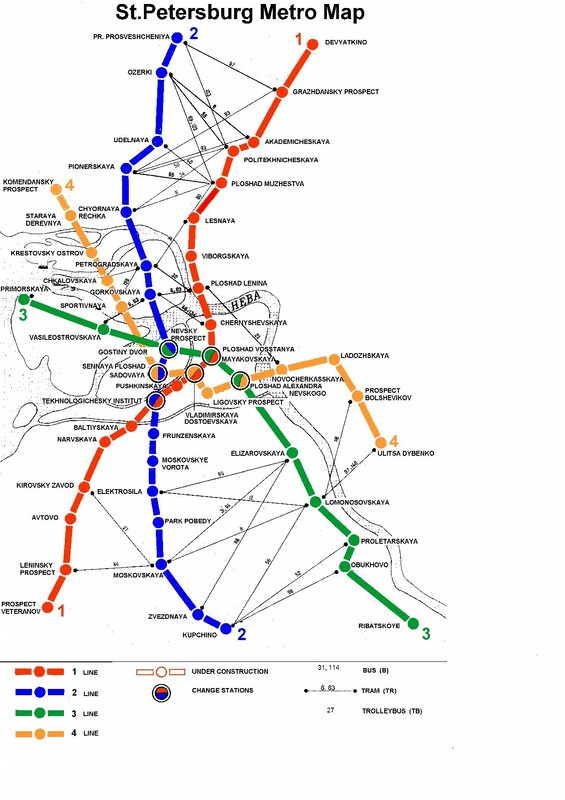 Look at our metro scheme and find the mark "X" on the map. A picture of the EIMI is available here. Accommodation. According to your requests during the registration, we have made reservations at the Andersen hotel and the Nauka hotel. WE KINDLY ASK YOU TO INFORM US ABOUT ANY CHANGES IN YOUR TRAVEL SCHEDULE. If you have any questions on your accommodation, please contact Ms. Nadia Zalesskaya (Programme Coordinator of EIMI, zaleska@pdmi.ras.ru, +79602791037). Breakfast is included. The prices for singles and doubles are in the range 3500-5400 rbl. See also the page accomodation on our website. Transportation. The Euler Institute can provide transfer to the hotel for participants arriving by plane, upon request. Alternatively, you may take bus no.39 at "Pulkovo" or minibus K39 wich will bring you to the metro station "Moskovskaya". It takes about 30 minutes to reach the stations "Petrogradskaya" or "Chernaya Rechka" (by a direct train). From both stations you may take bus no.1 or 46 or trolley-bus no.34 that goes to Pesochnaya Naberezhnaya (two stops), or minibuses no. 46, 76, 127, 252, 298, 346, and 321 (you ask to stop before the Kamennoostrovskii most (bridge) if you go from "Petrogradskaya"). CIS-participants who come by train may easily use metro - every railway station has a nearby metro station. Registration and fees. Registration desk will be open on June 25 at the Euler Institute from 9:30. The conference will open at 10:30. The registration fee is 50 Euro per participant. For the participants from the CIS countries the fee is covered by the Organizing Committee. The other participants should pay the fee at the registration desk in cash. If the Euler Institute has provided authorized invitation letters for participants and accompanying persons, an additional fee of 20 Euro per person (or 10 Euro in special cases, as it was indicated in the Second Announcement) should be paid. In all other cases there is no fee for accompanying persons. Meals. 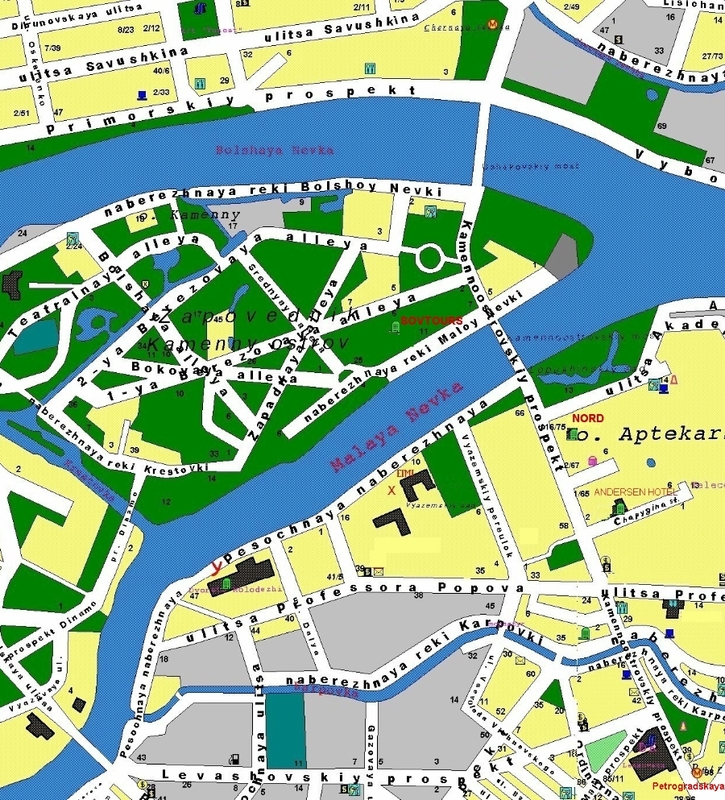 Lunches (at about 13:20) will be served for the participants at the restaurant of the hotel "Andersen" at a walking distance from the Euler Institute. Coffee and tea will be available at the Euler Institute during the coffee breaks. Lectures. There will be, presumably, three 45-minute lectures from 10:00 to 13:00 in the morning, and five 20-minute talks from 15:00 to 18:00 in the afternoon. The Conference Program will be posted on our website a few days before the first conference day. Cultural program. A boat trip is planned for the evening of Thursday, June 26. Lectures on Friday start at 15.00 in the afternoon. A conference dinner is planned for Sunday, June 29. Money. Euros and US dollars are exchanged by all exchange offices; however, other currencies may cause some difficulties (bad rate or no bank to exchange). Currently the average rate is 46,70 RBL for 1 EUR and 34,20 RBL for 1 USD. Credit cards are usually accepted at all major banks in the city. Be sure TO AVOID exchanging your currency NEAR exchange offices. Weather. The weather is variable. The average temperature in June is about 18C. So, usually it is about 20C during the day. It may be rainy.